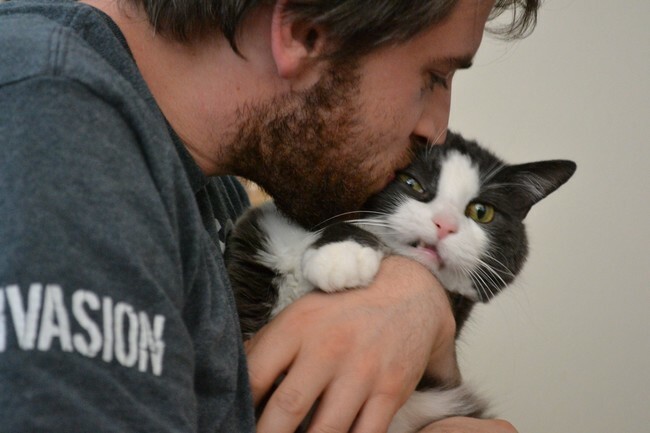 Many cat owners become frustrated by their cat's rejection of their love and attention. Cuddles and petting are returned with hissing and scratches. 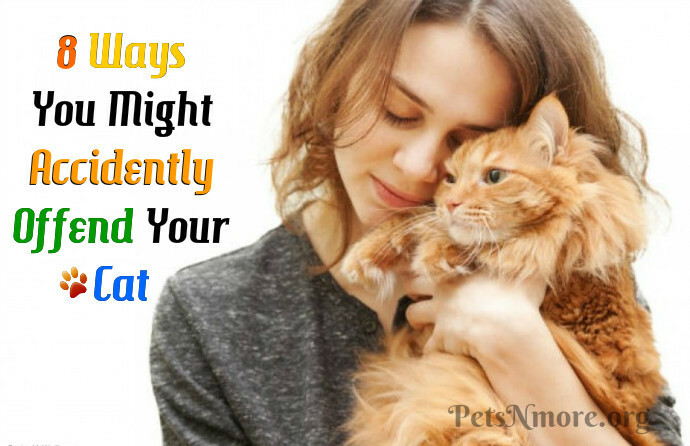 If that sounds familiar, here are 8 actions that might put you in the "doghouse" with your cat, and how to stay on good terms instead. 1. Stop looking at me! Many cats (and also dogs) are tremendously uncomfortable with eye-to-eye contact from their humans. This is because most animals view prolonged eye contact as an act of aggression, and trying to stare down your kitty can make him feel anxious and fearful. Some kitties just don’t like to be touched and find the whole petting and stroking thing quite stressful. If your cat initially allows some petting and then suddenly lashes out, it probably means she’s tolerating it for a short time, but it’s stressing her out. Some cats love to be held and cuddled, but many do not, and some can only tolerate it for brief periods. If Fluffy’s tail is flailing about and her ears are flattened, she’s had enough – let her go. The right way to pick up an agreeable cat is with one hand under her chest and the other hand supporting her back legs. Hold her gently against your upper body so that she feels secure. If she pushes away, looks toward the floor, flattens her ears, or twitches her tail, that’s your cue to put her down quickly and gently.